Please consult our ADOPTION FAQ before contacting us. 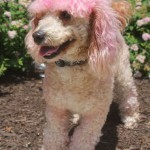 If Pippa is not listed as Pending or Adopted, you may assume she is still available. 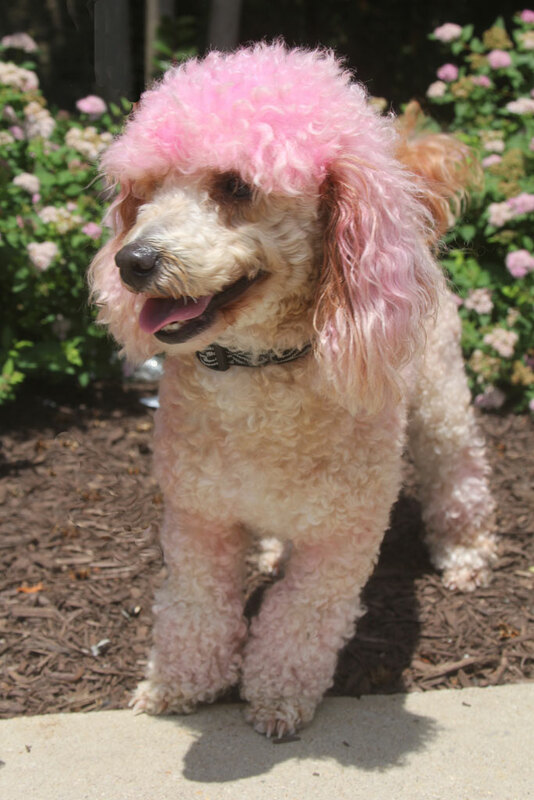 Pippa is a fun loving gal, full of life and energy, who loves everyone she meets. She is living happily and playing occasionally with her foster brother, a chi/pug. Pippa loves to play fetch, and when you get tired of tossing her a toy, she likes to throw it in the air herself and it. Pippa is very affectionate. She likes to lay close when you are watching TV. She is a good combination of snuggly and playful. She enjoys walks very much, and will need at least 1 to 2 walks daily, although they don’t have to be long ones. She pulls more than we’d like, and gets agitated when she sees other dogs when she is on leash. This is something we are working on, but her new family will need to continue that effort. 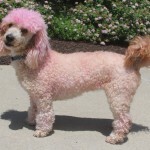 At the moment, Miss Pippa is pink!! 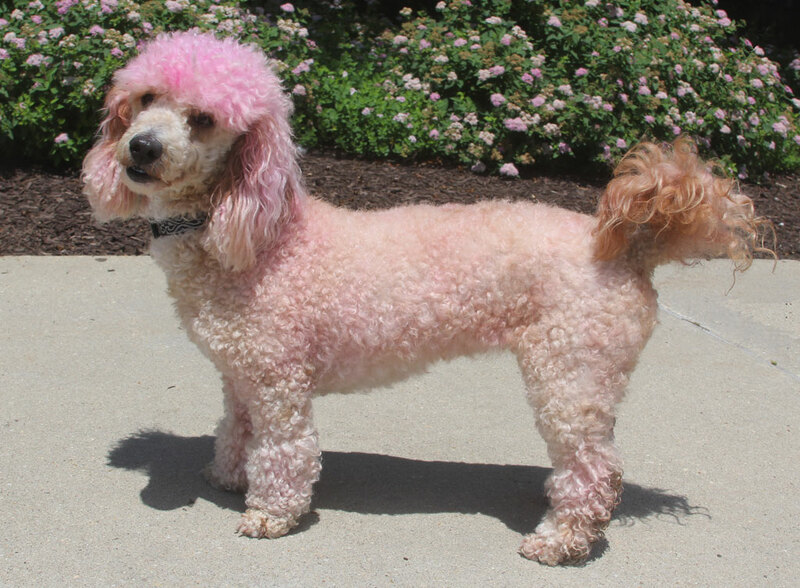 She was dyed pink when taken away from her owners. 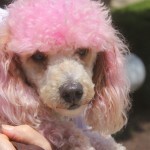 Though she looks pretty in pink, we will be grooming her soon so she can start to go back to her more natural apricot. Pippa was featured on Channel 9’s News at Noon on Thursday, June 19th! Good with kids: I’m good with kids. Good with dogs: I’m used to dogs. Good with cats: I’m not good with cats. Suitable for townhouse and/or apartment: I could live in a townhouse, but not an apartment. If you are interested in Pippa, consider letting us know by filling out a (no-obligation) adoption application. Please consult our Adoption FAQ before contacting us. We are an all volunteer group and do not operate a shelter. All of our animals are in foster homes. We are unable to place our animals outside of the Baltimore/DC area. Pippa is NOT expecting to attend the next adoption show, June 21 at the Annapolis PetCo, although there's always a possibility that plans will need to change at the last minute.